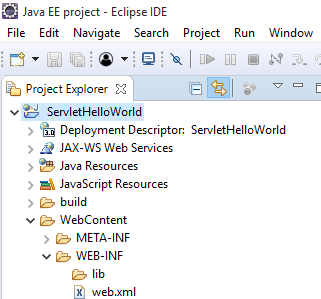 Home Servlet Hello World How to create Hello World Servlet example using eclipse IDE with Tomcat 7? 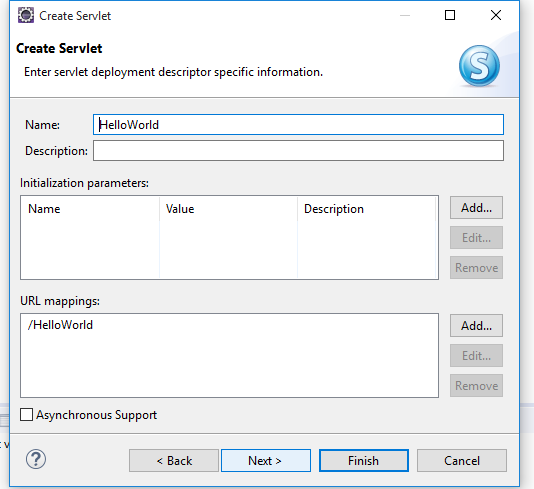 How to create Hello World Servlet example using eclipse IDE with Tomcat 7? 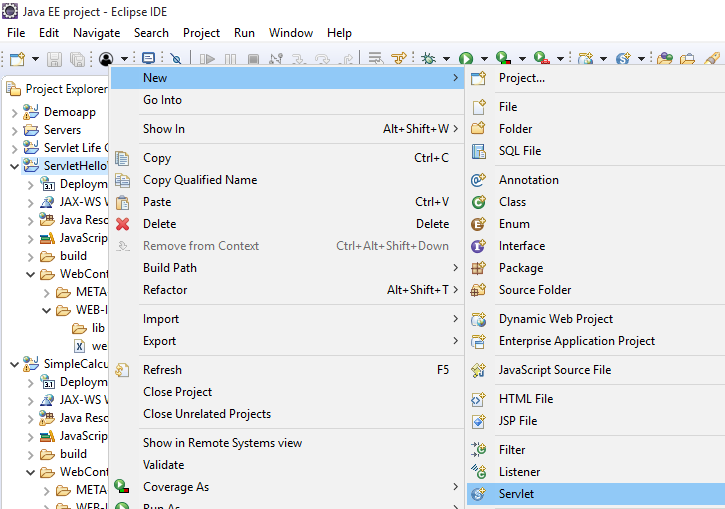 i) Download and install Eclipse IDE for Java EE developer. 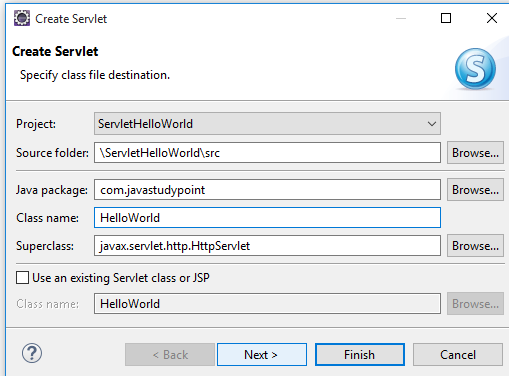 After download and install Eclipse IDE for Java EE developer and Tomcat Server, you will be able to create Hello World Servlet Example using Eclipse IDE. 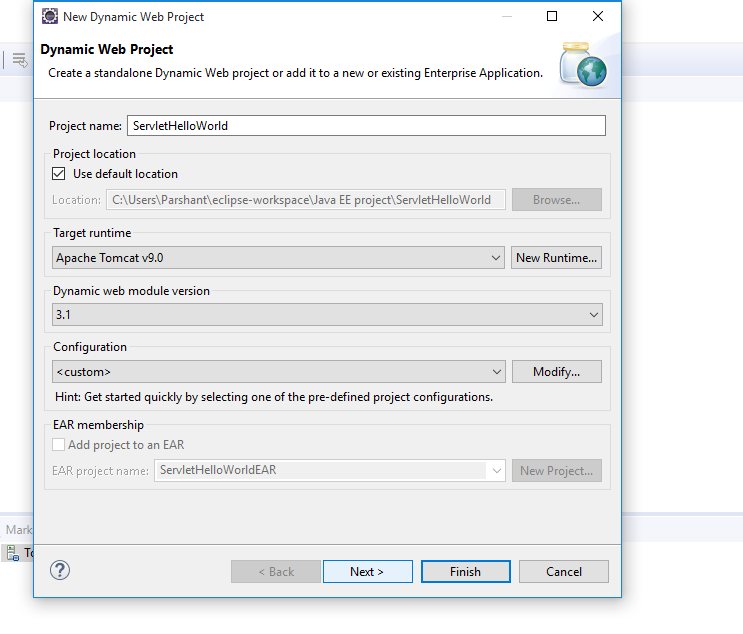 To create Dynamic web project open eclipse ide -> Go to menu -> New -> Dynamic web project. Write your project name and click on next. check on generate web.xml and click on finish button. 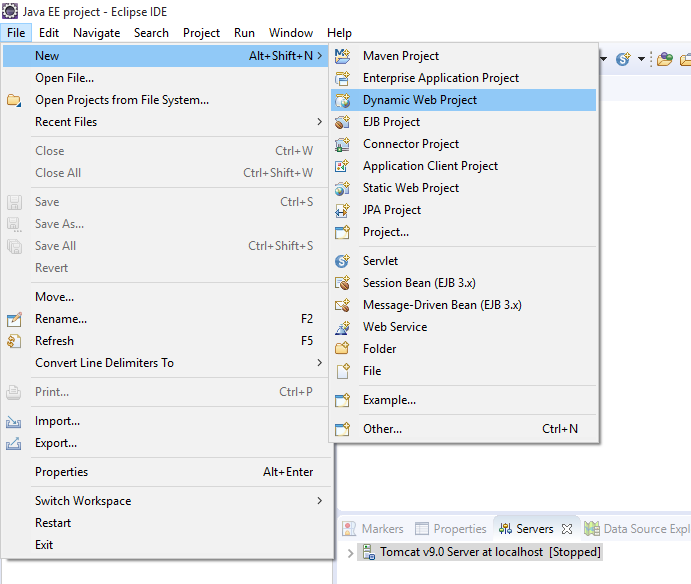 After clicking on the finish button, your Eclipse IDE will automatically create a dynamic web project as shown below. 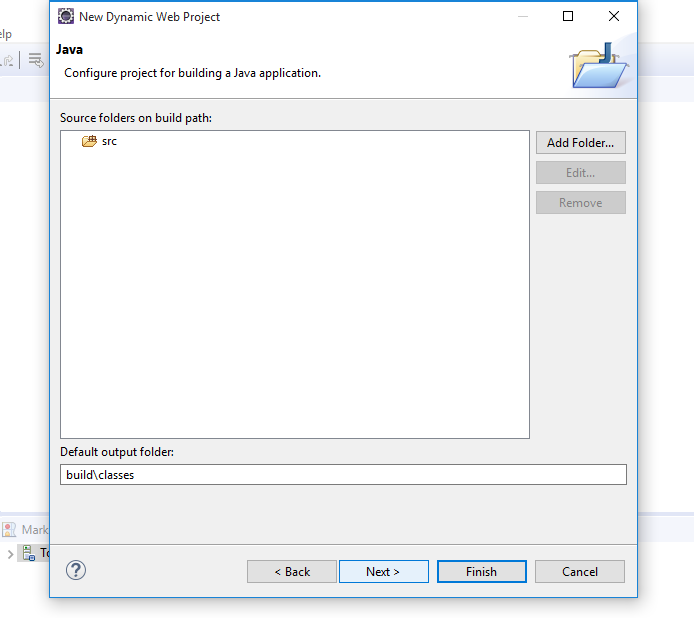 Write your package name in java package field and class name in the class name field and click on next. We can specify the URL mapping in the following screen(web.xml) and click on next. 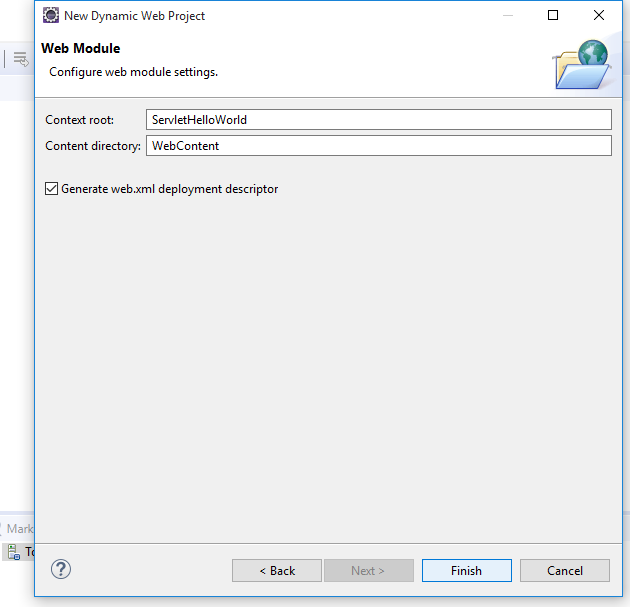 After clicking on the finish button, your Eclipse IDE will generate a servlet class based on the configuration provided in previous steps as shown below. Write your code into doGet() method and call to setContentType() establishes the MIME types of the HTTP response.In this program,the MIME type is text/html.Next the getWriter() method obtains a PrintWriter.Then println() is used to write some HTML code as the HTTP response. 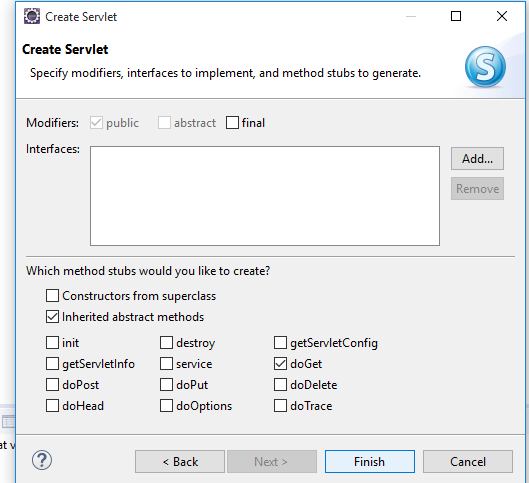 To run your Servlet code right click on your project -> Run As -> 1 Run on Server. 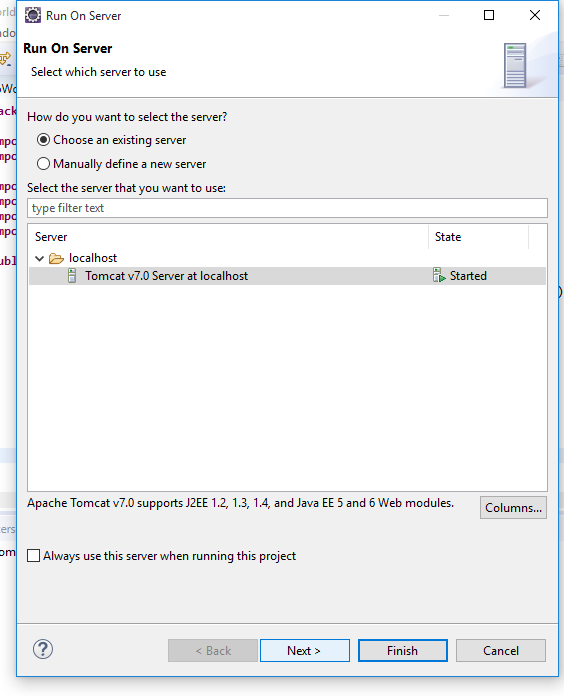 Select the existing Tomcat Server and Click on the finish button. 5) The output on Browser. Your Eclipse IDE will generate output on own browser and print "HELLO WORLD" on the browser.